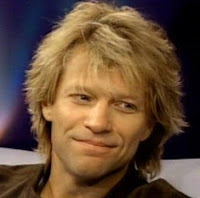 I've never been a fan of Jon Bon Jovi, althought I have grudgingly had to admit that the man can act. And now he's given an entirely new meaning to celebrity restaurant. That's the kind of celebrity restaurant I would consider visiting. I'd love to say that I thought of that title all by myself, but I got it from someone in the comments.